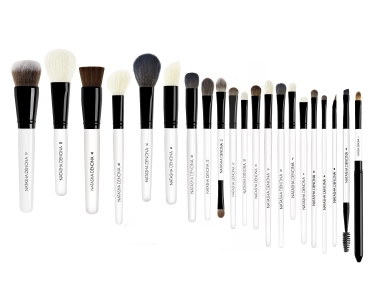 The incomparable quality of Natasha's brushes stems from one critical fact: they have been methodically designed by a creative, professional makeup artist who has applied her expertise to thousands of faces over many years. It was Natasha's extensive experience and know-how that enabled her to build such artist-friendly brushes, perfectly shaped for different facial areas – eyes, cheekbones, lips etc. As a special bonus, the brushes are stored in a unique pouch - which also serves as a complete, compact, handsomely designed makeup stand. 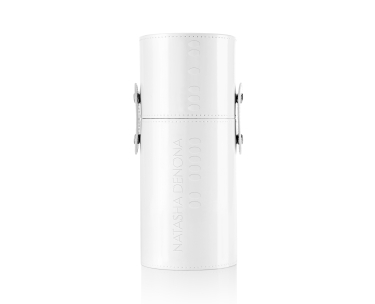 Natasha Denona's makeup brushes are made of either natural or synthetic hair, as needed. All natural hair is supplied by companies that strictly avoid animal abuse.